Written by G. Willow Wilson. Art by Marco Failla. Cover by Nelson Blake. 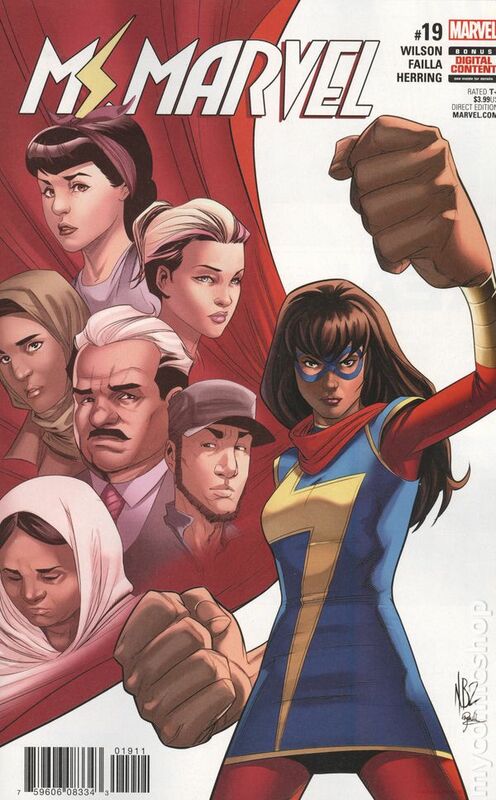 An enemy from Ms. Marvel's past resurfaces and begins targeting those closest to Kamala. As the world around her is spinning out of control, it becomes clear that this time there's something more sinister at work… Kamala's no stranger to fighting for what's right, but in facing down this challenge, everything she is will be called into question. Not just as a super hero, but as a human being. 28 pages, full color. Rated T+ Cover price $3.99.